This is a beautiful vase cut in Libbey’s own variation of the Ellsmere pattern. The shape is bulbous with a great flair at the top. It’s signed with the Libbey sabre mark. 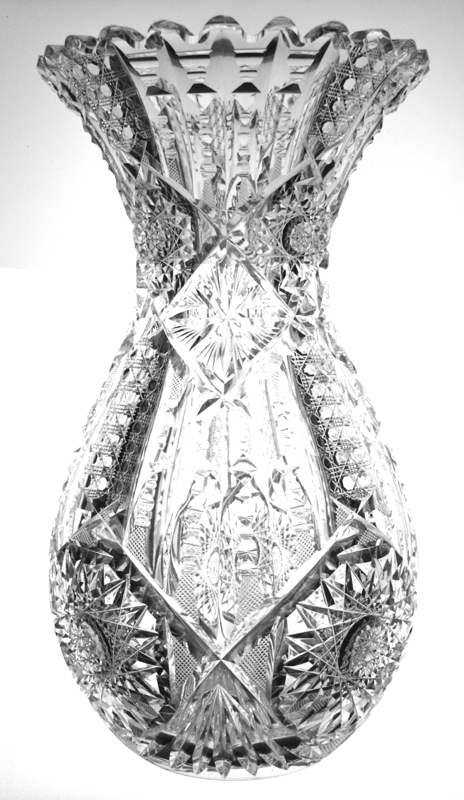 The most noticeable portion of this vase is certainly the upper portion. It consists of that awesome notched prism Libbey is so well known for. They combine it with large panels of triple miter cane. I love how the notched prism seamlessly meets silvery crosshatching. 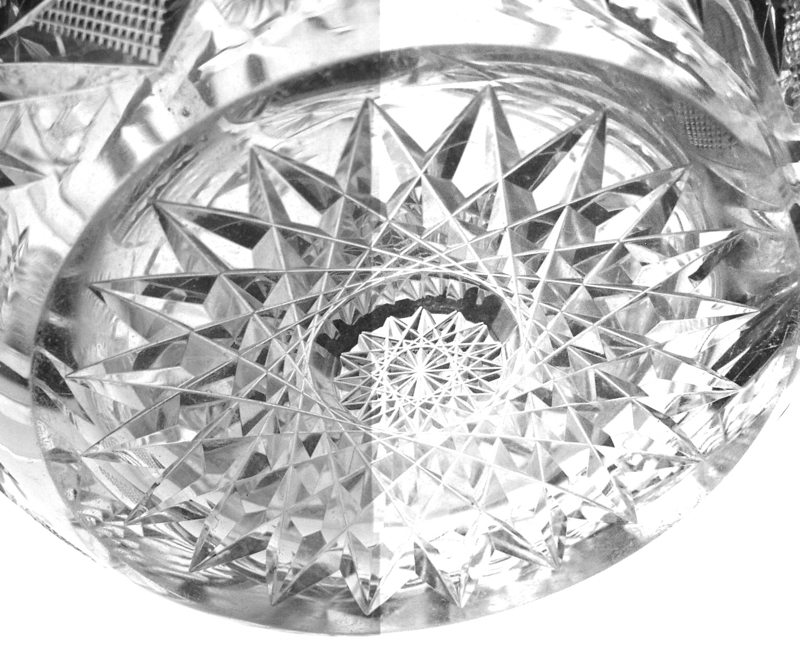 This portion of the pattern mets octagonal hobstars. The lower third of the pitcher is finished with bursting fan cutting that alternates with deep and more shallow miters. 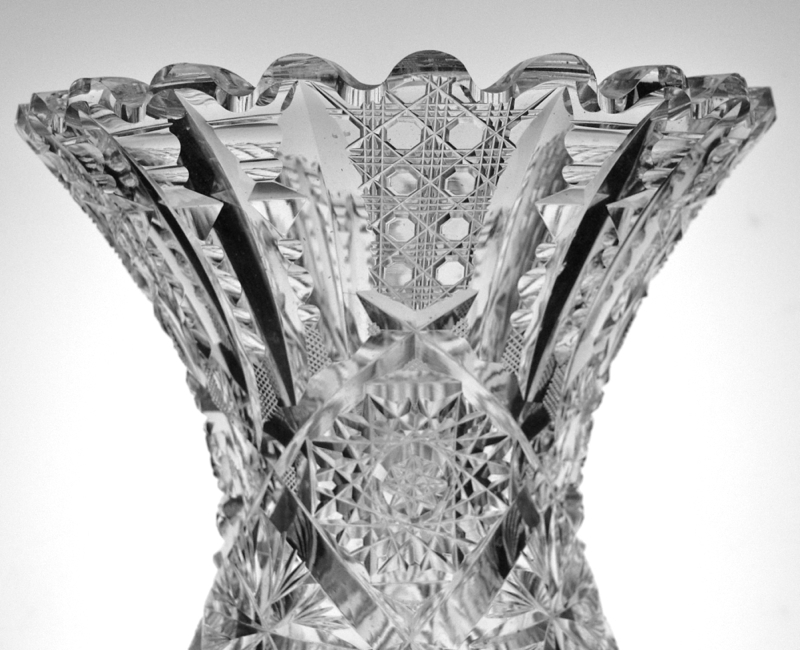 The base of the pitcher is finished with a rayed star while the handle is triple notched. 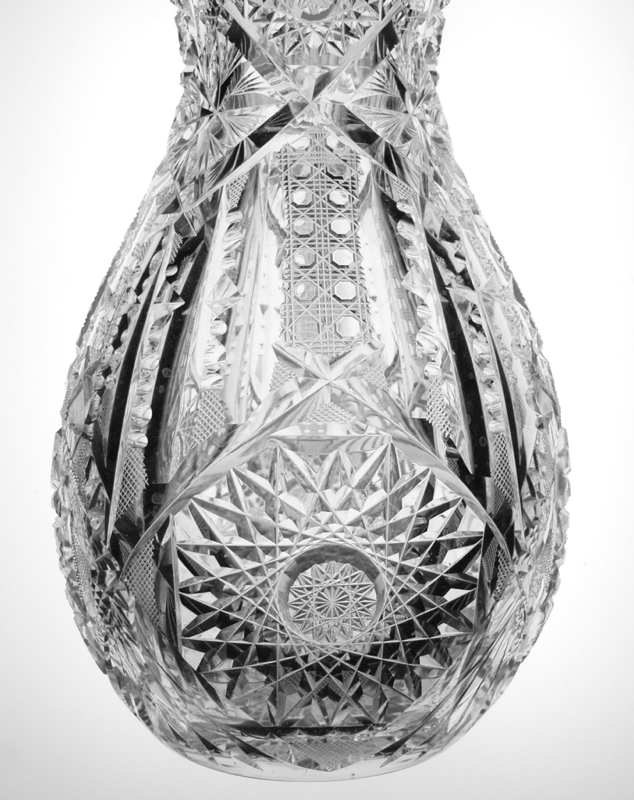 The pattern doubles up again as it works its way to the bulbous portion of the vase. I absolutely love how the pattern expands and contracts to conform to the shape. The base is covered with a 20-point hobstar. 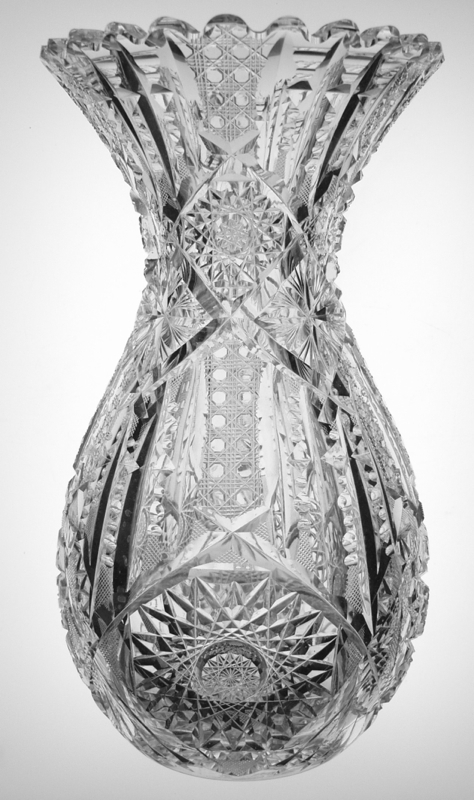 The vase is in perfect condition with no issues and measures 11 3/4″ tall and 6 1/3″ wide. 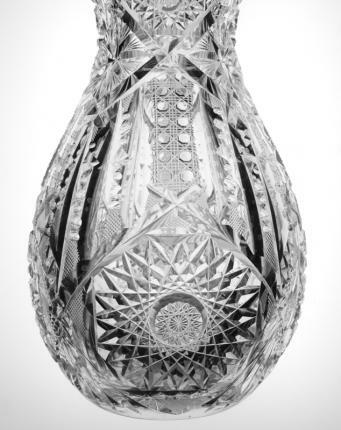 The shape of this vase is exotic and the pattern really lends itself to these upright pieces.